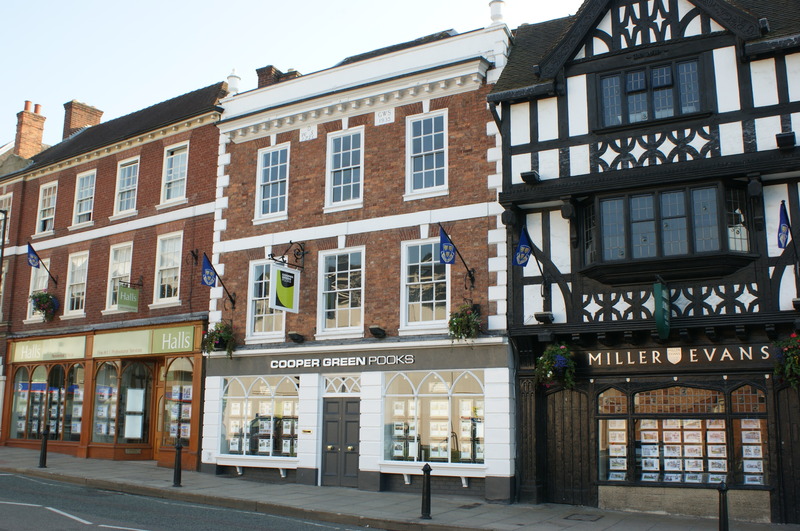 Cooper Green Pooks is a result of the combination of two of Shrewsbury’s longest established estate agency names, Cooper and Green and Pooks. 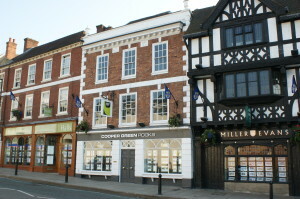 Having initially both set up in the 1880’s, the newly formed business moved into the prominent and prestigious offices in Barker Street in 1993. The business currently employs 31 members of staff. The same customer and client care which has ensured the firm’s success over the years has been improved and built upon with the use of the best available agency and management software, a cutting edge website and use of the latest marketing tools. Being awarded both Gold and Silver in the prestigious ESTAS Sales and Letting Agent Awards demonstrates the excellent service offered and the high level of client satisfaction. The awards are based solely on client votes and are independently verified. The business is regulated by the RICS (Royal Institution of Chartered Surveyors) and by ARLA (Association of Residential Letting Agents). This ensures that the business adheres to a very strict code of conduct which gives complete protection to both clients and customers. Each department has its own team of experienced and knowledgeable partners and staff to provide valuable, reliable advice and an energetic, proactive level of service.